After 12 months of house price declines, it’s officially a buyer’s market across most of the country. “Right now, Sydney, Melbourne, Brisbane and Perth would all be considered buyers markets,” says Nerida Conisbee, Chief Economist at realestate.com.au. If your city or suburb has recently changed sides, it’s important to know how these conditions can affect you and your plans. “In the simplest terms, it’s a seller’s market when prices are going up, and a buyer’s market when prices are going down,” says Conisbee. Another way to determine what kind of market it is, is to look at the clearance rates. In a buyer’s market you can expect to see low clearance rates, around 60% or less, with homes sitting on the market for longer, sometimes passing in without sale. While it’s far from ideal for owners and investors, it’s encouraging news for many first home buyers. “Less competition for housing makes it far easier to get into the market. You are able to take your time when purchasing a property, and there is also the possibility of being able to negotiate a better price,” says Conisbee. Hobart, as well as other pockets around the country, are standing firm in seller territory. In these conditions, the demand for housing has outstripped supply, leading to fierce competition to secure a property. This demand pushes prices up, with properties spending less time on the market and selling for more, often above reserve. In a seller’s market, clearance rates are high, usually 75% or more. “At these times, you’re less likely to be able to negotiate on price,” Conisbee says. You’ll also have less time to make a decision and buyers will need to be ready to pull the trigger at any moment. While your city or suburb may currently be considered a buyer’s or seller’s market now, it’s important to note that these conditions can change quickly and sometimes without warning. Buying at the right time is a concern for many would-be home owners who want to break into the market before prices start to rise, but not so soon that they miss out on a bargain. If you are currently experiencing a buyer’s market, like much of the nation, now is a great time to buy, Conisbee says. While it is best to buy at the very bottom of the market, determining when that will be can be extremely difficult predict – even for professional analysts, and waiting too long can see you miss out on a great opportunity. Be sure to research what options are available, so that when the time comes to buy, you know what you want. If you live at Sandgate, Hemmant, Kenmore or Paddington, you can breathe easy with all this talk about a flat property market, because house prices in your suburb are some of the best performing in the city. While Brisbane’s overall house price growth was minimal in 2018, new data from the Domain House Price Report has revealed there were suburbs that bucked the trend, showing strong growth and skyrocketing in value. The No.1 suburb was Sandgate, the coastal village in Moreton Bay north of Brisbane’s CBD, where house prices grew by a whopping 18.8 per cent. It was followed by North Ipswich, which rose by 17.3 per cent, then Hemmant, in Brisbane’s eastern suburbs, which grew by 12.5 per cent. Kenmore and Graceville rounded out the top five, both up by 11.8 per cent, but other suburbs like Paddington, Bardon, Burpengary East, Carseldine and Brookfield also made the top 10. Source: Domain House Price Report, Dec quarter, 2018. Kristy Kelly of local Sandgate real estate agency Kindred said the secret was well and truly out when it came to Sandgate. “As the years go by, Sandgate just keeps getting better and better and it’s where everyone aims to be up here. There’s some really good prices coming out that aren’t just houses with water views,” she said. Inner-city favourite Paddington continued its run of success in recent years, showing strong growth as the momentum of its evolving landscape held strong. Builder Rob Gray, who runs Graya Constructions together with his brother Andrew, has six high-end building projects on the go at Paddington and said it was his favourite suburb because it “ticks all the boxes”. “Geographically to me it makes sense but the biggest standout to me is that there’s so much building going on — every second street there’s a build happening, and they’re not small builds. “I saw it happen at New Farm and Teneriffe and I saw it happen at Camp Hill a couple of years ago. There’s this real air of confidence in the suburb,” he said. In Brisbane’s sought-after western suburbs, Kenmore, Graceville and Brookfield recorded excellent growth, soaring by nearly 12 per cent and 9 per cent respectively. It came as no surprise to Jason Adcock of Adcock Prestige, who sold a $1.8 million acreage property at Brookfield under the hammer — two days before Christmas. “I thought no one would be there, it being the 23rd of December and basically Christmas. It’s the latest auction I’ve ever done in 25 years of real estate,” he said. “But I couldn’t believe it, we had 50 people there on the day and a neighbour bought it under the hammer. 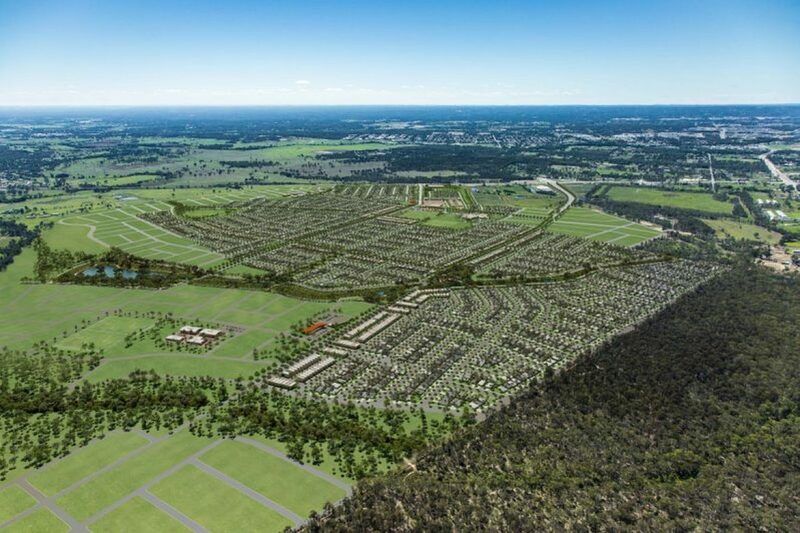 Edging closer to the million-dollar suburb club with a median of $952,000, Graceville has always been in high demand with families, beloved for its wide, tree-lined streets with large block sizes and Queenslander houses. But Mr Adcock said the recent proliferation of new cafes, restaurants and shops had elevated its desirability to a whole new level. “It offers an incredible amount of facilities and it’s now got that amazing village vibe about it,” he said. If you’ve never heard of Hemmant, which recorded the third-highest rate of house price growth in 2018 at a huge 12.5 per cent, you’re not alone. East along the Brisbane River from Murrarie and 10 minutes from Bulimba, it’s been largely industrial — but that’s rapidly changing. Land is now being converted to residential lots and brand new houses are being built at a cracking pace. The median house price is now $540,000. Serena Carter of Ray White Tingalpa said in the next 18 months to two years there would be 1800 new homes built at Hemmant. “A lot of people still have that stigma and say ‘I wouldn’t live there’ but it’s only 10 kilometres from the CBD, there’s a train line and it has excellent access to the city,” she said. She said the suburb’s value would continue to grow this year as more new housing was built. “The people who bought land here in stage one have already seen massive growth on their property values,” she said. Recent headlines have been filled with doom and gloom about Melbourne’s falling home prices – but you need to read between the headlines to understand what’s really happening in the property market. Dig a little deeper and you’ll realise the picture for home buyers in Melbourne and elsewhere in Victoria is not as bleak as it would seem. In fact, if you’re about to make your first move into home ownership, or if you’re upgrading to make room for a growing family, there’s plenty of evidence that building a place of your own now is as good a time as any. Recent research from realestate.com.au has found Melbourne’s year-on-year growth has fallen, but only by 1.9 per cent. Regionally, Victoria is outshining the rest of the country with the former gold rush town of Ballarat enjoying Australia’s strongest regional price growth in median house price – a buoyant 6.4 per cent. 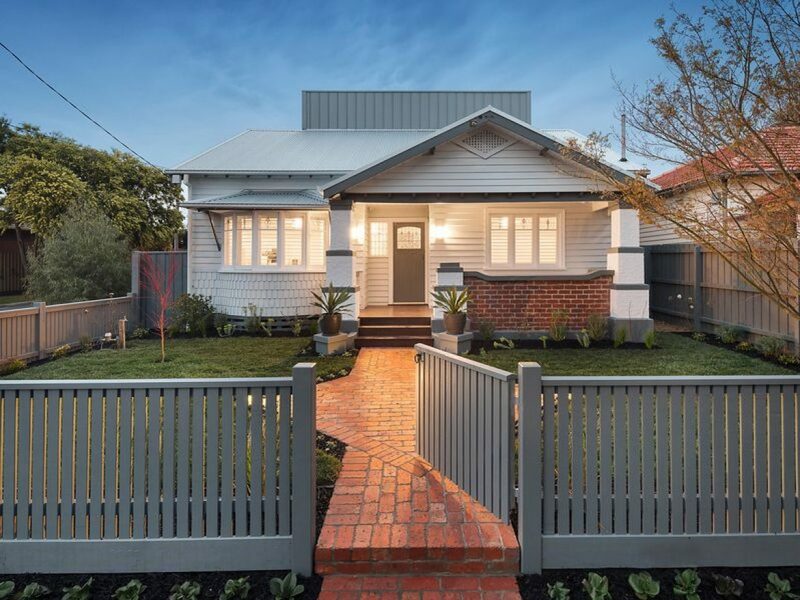 Regional cities like Geelong and hubs in the Gippsland area are also ideal destinations for anyone wanting to take a first step onto the property ladder. These areas not only offer home affordability but the kind of day-to-day living most Aussies aspire to: a strong sense of community and the chance to enjoy the great outdoors. The essentials are also covered, such as well-equipped schools, shopping centres and medical facilities, and the relaxing latte lifestyle. So, where are new homeowners choosing to settle? Research from realestate.com.au found that Clyde North in Melbourne’s south-east was the city’s highest growth suburb for 2018, based on median house price. Only 55km from the CBD, it has a rich past as a gardening and dairy farming area, and it retains much of its rural appeal for those wanting a quieter lifestyle. Developments such as Edgebrook are bringing quality homes, schools, shopping, childcare, community centres, playgrounds, barbecue areas and parks to the area. A magnet for young families and first home buyers, the latest masterplanned estates ensure everything is within easy walking distance or, at the most, a short drive away. In the north-west, families are heading for the hills – the rolling hills and fields within sight of the picturesque Macedon Ranges, renowned for its award-winning gardens, forests, artisan food and wines. 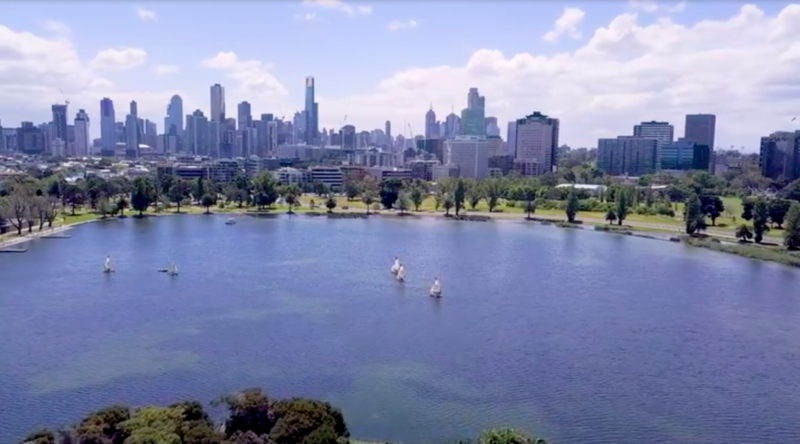 More and more Melburnians are discovering the beauty of the area and the benefits of living within an hour of such stunning natural beauty. As a result, first home buyers and young families are looking to build in estates with easy access to the Macedon area as well as Melbourne CBD. The Highlands community in Craigieburn is the ideal place for such buyers, with schools, shopping centres, and more than 20 parks as well as world class sporting facilities and easy transport to the CBD. 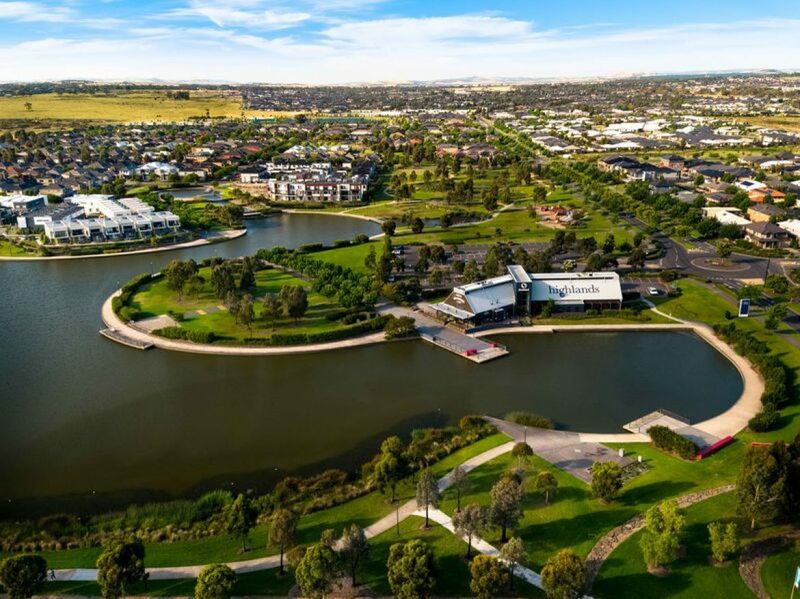 According to data from realestate.com.au, Craigieburn recorded an 8.9 per cent growth in median house price in 2018, showing that despite a difficult market, buyers remain attracted to affordable areas that offer a sense of community. So, don’t be deterred by those daily headlines. Do your own research, find the lifestyle and location that suits you and your loved ones, and make your move. fFalling property prices are making headlines across the country, but some Australians are still expecting prices to skyrocket, a new survey shows. Despite the national median house price dropping 6.5 per cent last year, according to the latest Domain House Price Report, about two in five people are still expecting price rises. It was in Brisbane, where house prices have been broadly steady, and Tasmania, where they are up 8.8 per cent, that people were most optimistic. About one in two people in both areas expected prices to rise. However about a third of survey respondents in the weakening markets of Sydney and Melbourne, where house prices fell 9.9 per cent and 8.4 per cent last year respectively, also expected price growth. More than 5 per cent even expected prices to skyrocket, while 9 per cent of Brisbane residents thought the same. The findings come after a NAB survey of more than 2000 consumers last week found 5 per cent expected prices to rise at least 10 per cent in the next year — with a total of 25 per cent expecting price growth. On average consumers tipped national prices to fall 2.1 per cent. However, when asked their plans for the year ahead, most consumers wanted to sit tight, said NAB chief economist Alan Oster. “They’re not going to buy, they’re not going to sell, but [about 20 per cent] are going to renovate,” Mr Oster said. The bank expects house price drops of 7 per cent and 5.6 per cent in Melbourne and Sydney, respectively, and is forecasting a peak-to-trough fall of around 15 per cent for both cities. 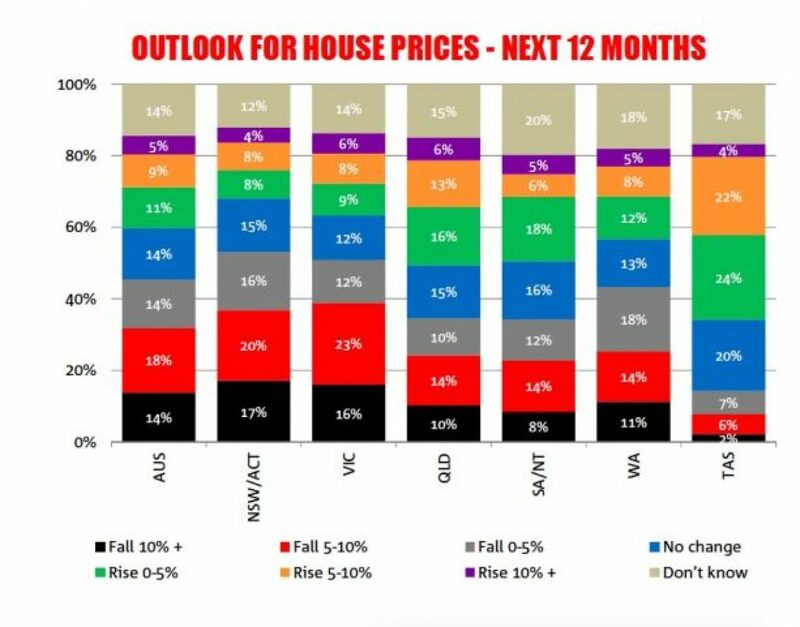 Meanwhile AMP Capital’s chief economist Shane Oliver expects prices in both cities to fall another 15 per cent, after revising down his peak-to-trough forecast to a 25 per cent fall last week. Credit Suisse is predicting a similar drop for Sydney and CoreLogic’s head of research Tim Lawless has revised his forecast to an 18 to 20 per cent drop for Sydney and Melbourne. Mr Mickenbecker said Canstar’s findings suggested there would be continued demand from buyers in the months ahead, but warned first-home buyers — 12 per cent of whom are expecting prices to skyrocket — to take their time. “A percentage of first-home buyers could be in panic mode and doing anything to try get into the property market. They shouldn’t be thinking that way,” Mr Mickenbecker said. The outlook of younger generations was significantly more bullish, noted Mr Mickenbecker, with 21 per cent of Generation Z expecting prices to skyrocket, and 7 per cent of Generation Y expecting the same. Almost half of first-home buyers expected prices to grow, compared to 36 per cent of existing home owners. He warned existing home owners not to be overly concerned by price falls, as they would reverse in time. How does your property plan fit into your 5-year-plan? A home may be the most expensive thing you ever buy, but data reveals, it might not be the most important. Studies from realestate.com.au and life insurance company, Noble Oak have shown that some of our biggest life moments – getting married, having kids and buying a home – are occurring one after the other and during this period, more people are taking out life insurance. Almost two thirds of people surveyed in the Noble Oak Whitepaper in December 2018 said “providing financial security for my family” was the main reason for having taken out life insurance or income protection insurance in the past year. Of that same group, an overwhelming 72.5% cited buying a home and taking out a mortgage as the biggest life events to prompt them to take out a policy with Noble Oak, followed by having a baby (38.5%) and getting married (25.3%). But babies, weddings, mortgages… they’re all connected. Realestate.com.au research shows that, of the 3.7 million people currently in the market to buy a home, people who are married or coupled up are 40% more likely to purchase a property than their single friends. And those expecting a child, or who are planning to marry are two times more likely to buy a home. This should all come as no surprise, but with some of life’s biggest moments happening at once – or sequentially – stress can come easy, and it’s important to know and understand how to protect yourself, your assets, and your family, as they grow and change. These are the most important expenses to think about as your 5-year plan comes into fruition. When you’re having kids, paying off a mortgage and organising a wedding, money and time are fierce commodities. Yet new married (or de facto) couples should never neglect to ask: Do we have life insurance? “Life insurance protects dependents and loved ones. Marriage is an important symbol of lifetime commitment and dependency to many people. So when people get married, it’s a good time to ensure that each partner has enough life insurance to look after the other one,” explains Noble Oak CEO Anthony Brown. “Marriage is also a time when financial obligations, such as a mortgage, become shared. Newly married couples need to be able to ensure that if anything happens to either one of them, they will be able to meet their mortgage, rent or other financial commitments. Life insurance is an investment in your future, which could help to safeguard you and your family,” Brown says. If you’re not sure what type or level of cover you should have, there are a number of online calculators you can use such as the Canstar Life Insurance Needs Calculator or the NobleOak Life Insurance Calculator. For most Australians, buying a home is the single biggest investment they will make. It’s also the biggest financial risk if you are accessing your first home loan or increasing your mortgage. If you’re in this situation and about to purchase a home, you need to think about how you would cope financially if the main income earner got sick and couldn’t work for a period of time. How would you pay the mortgage and any other financial commitments? “Having adequate Income Protection cover in place helps to minimise this risk significantly. It not only provides peace of mind at a time of emotional stress, but it provides a financial benefit in the form of an ongoing salary replacement,” explains Brown. “People should understand the difference between Life Insurance and Mortgage Protection Insurance (MPI). MPI is designed to pay off the debt on your property to the lender only. Whereas Life Insurance pays a lump sum to your beneficiaries and can be used to pay off the mortgage as well as used for other living expenses,” Brown says. If you’re stuck working out the best value policy that’s right for your circumstances, a great place to start is a comparison website such as Canstar or Finder. Just look out for the limitations of cover that is only partially underwritten, where only a few questions are asked when applying for cover and pre-existing conditions may be excluded. These types of policies may result in a claim not being honoured. To avoid this happening, always read the Product Disclosure Statement (PDS) thoroughly to understand what is and isn’t covered. A stunning $400 million worth of “double digit” sales took place in the last quarter of 2018 in what was a remarkable movement of high end real estate. Despite home values across Sydney taking a hit in recent months, there was a flurry of activity on the trophy home circuit which saw dozens of properties sell for between $10 million and $40 million. The domino effect of dwellings transacting was sparked by the incredible $100 million sale in September of Fairwater in Point Piper, plus a drying up of foreign buyers. Mark Cadry, buyer’s agent from BuyEast, said that going into 2019 there is now more wriggle room for price negotiations — even in the top end. “We feel the market is at a fantastic place. Vendors over the past five years were wanting 10 per cent to 20 per cent more, regardless of what was going on with the market. It was a struggle for us to keep up with our clients’ price expectations,” he said. Today, Mr Cadry said buyer’s agents were able to negotiate a lot harder. “We’ve naturally seen an increase in client inquiry since the market softened up a bit,” he said. “It’s a great time to upgrade,” he said. However, Mr Cadry added this perfect storm will not last forever. “If lending becomes a little bit more relaxed, this market can spring back up again just as easily as it did before this softening happened. So we’re really balancing between the market going down further and the market going back up. Simon Cohen, a founder of buyer’s agency Cohen Handler, said he also believed the increased volume of high priced homes on the market was due to the snowball effect of a cooler marketplace. 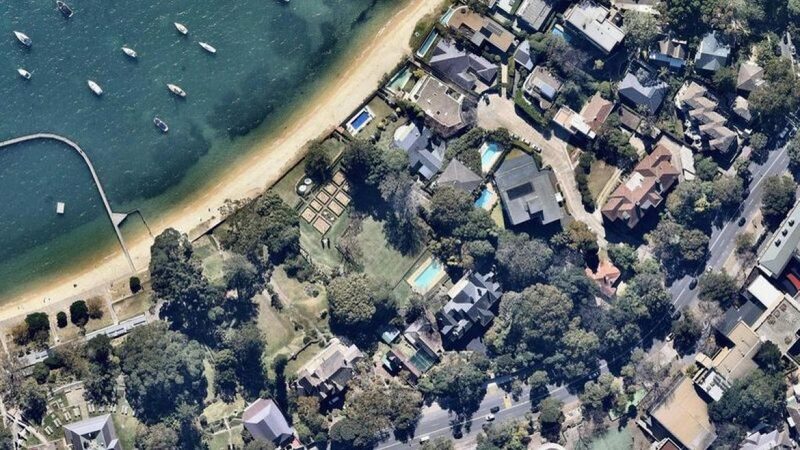 Mr Cohen, whose firm secured 1A Loch Maree Pl, Vaucluse for $29.5 million and made the $15.25 million exchange of 8 Pacific St, Watsons Bay last year, said cashed up buyers are seeing opportunities to snag a trophy home that may have been considered too pricey one or two years ago. “We’ve always been able to get good prices for our clients, but in the current market what we’re finding is that sellers are starting at more realistic prices — and that’s great news for buyers,” he said. Perth’s property market looks set for a year of slow improvement amid reduced access to finance, low population growth and oversupply in some suburbs, experts say. And most key local industry players agree the worst is over for Perth’s residential market. It comes as Perth’s median house price remained flat over the three months to December, according to the latest Domain House Price Report, but still fell 3.3 per cent over the year. The median unit price fell 2.9 per cent over the 12 months. 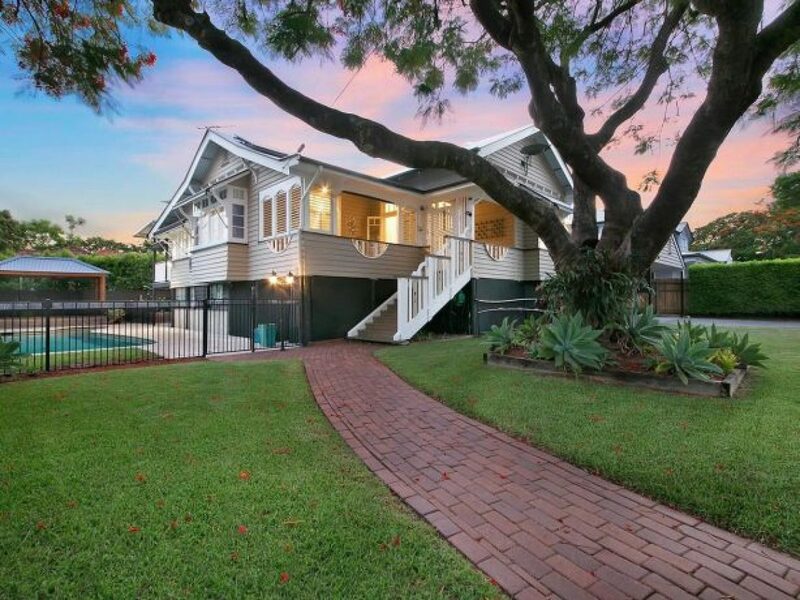 By comparison, house prices in Sydney and Melbourne fell 9.9 and 8.4 per cent, respectively. JLL WA valuation area manager and buyers advocate Sarah Ronaldson said 2019 was likely to be not so much a year of recovery, but one of stability. “With a backdrop of strengthening population and employment growth, demand for dwellings should improve over the medium term,” she said. Perth’s house prices will experience modest growth with a likely increase of 5 per cent in 2019, according to Domain economist Trent Wiltshire. He said the market was likely to remain soft with a turnaround at some point. “The outlook for the economy in WA is looking better, things like job vacancies are at their highest point since 2013. So economic growth forecasts are a bit better and the mining sector is looking better,” he said. Mr Wiltshire said another good sign was that population growth and net overseas migration were improving in WA. “These kind of things all suggest that there are probably going to be better times ahead for the Perth market,” he said. However, Mr Wiltshire warned that Australia-wide factors, such as the financial services royal commission and tighter lending conditions, were weighing on the Perth market. “Things like that held back the market in 2018 and that could continue in 2019, so that’s a big downside risk,” he said. Urban Development Institute of WA chief executive Tanya Steinbeck said she believed while the bottom of the market cycle had been reached, it was unlikely there would be a dramatic uplift in the market in 2019. “[It will be] more likely a relatively steady year with things really starting to pick up early next year,” she said. The new year was set to finally deliver some much needed demand, making it the best time for buyers and sellers to make major decisions about their property plans, Acton Real Estate chief executive Travis Coleman said. “Highly sought-after suburbs have always performed well, but we’re starting to see suburbs that have been underperforming attract more interest,” he said. While a return to normal market conditions by the year’s end was the best outcome to hope for, LWP managing director Danny Murphy said even though the volume of sales should increase, the recovery in prices would lag with a return to 2014 prices expected to be two to three years away. “With the expected recovery, 2019 will represent a great time to buy with the first half of the year representing the peak time,” he said. When a market strengthens, blue-chip suburbs were always the first to start moving forward again, Ms Ronaldson said. “So if you are looking to get into the western suburbs, now is your time to act,” she said. The federal election will likely take place on either 11 or 18 May, and housing policy is expected to be a key battleground for the major parties. One of the fiercest debates will revolve around negative gearing. The Liberal Party wants to keep the policy as it is, while Labor wants to limit it to newly constructed properties and properties that are already benefitting from the tax break. Expert opinion is mixed. For every analyst who believes that the policy needs to be scrapped, in order to make housing more affordable, there are two more who argue that house prices have already dropped enough. And then, of course, there are those who believe it’s little more than a storm in a teacup. Here’s how the federal election will affect renters. Negative gearing is a policy that allows investors to offset any losses they make on an investment property against their taxable income. At first glance, it might not look like something that’s important to renters. But dig a little deeper and you’ll find that there’s a clear link between the policy and how much renters are asked to pay for their homes. Under the Morrison government, the policy allows investors to offset losses made on any investment properties – old or new – against their taxable income. Its supporters argue that this attracts investors to the market – particularly mum-and-dad investors who would otherwise be unable to afford an investment property – and boosts the supply of rental housing, which, in turn, keeps a lid on rent. realestate.com.au Chief Economist Nerida Conisbee agrees and argues that Labor’s policy, unlike the Liberal Party’s, would therefore lead to an increase in rent. “Almost all rental housing in Australia is owned by mum-and-dad investors and many rely heavily on negative gearing to make the investment worthwhile,” she said. Treasurer Josh Frydenberg subscribes to a similar point of view and has repeatedly attacked Labor’s policy in newspaper op-eds, TV interviews and speeches. The way he sees it, Labor’s policy will lead to a reduction in the number of properties available for rent, at a time when tighter lending conditions have already led to such a reduction. The result, he argues, will be a significant increase in rent. Grattan Institute research fellow Brendan Coates, however, believes that the impact of negative gearing has long been overstated. He argues that Labor’s policy wouldn’t have much of an impact on the property market, because the tax breaks simply aren’t “worth enough in the context of the $7 trillion housing market”. “And the claim consistently being made that the policy will have a big impact on rent – that’s getting the argument the wrong way around. Rent sets prices; prices don’t set rent,” he said. 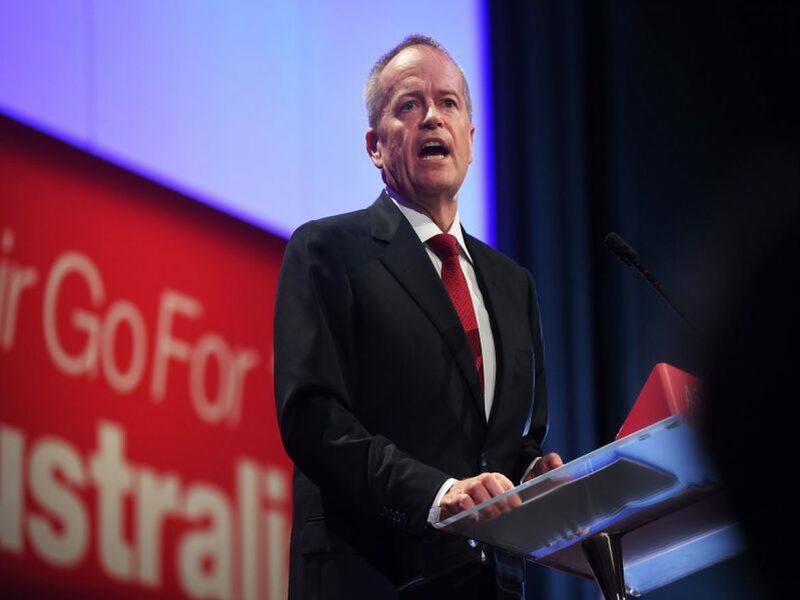 Either way, if Labor were to win the election, they would only have six weeks to introduce the changes before the start of the new financial year – and would need the support of four of the 10 crossbenchers to pass the changes. This means that the changes to negative gearing wouldn’t likely come into effect until July 2020. Labor’s other major policy is its affordable housing plan, which will offer 15-year subsidies of $8,500 a year to investors who build new houses and lease them out for 20 % below market rent. The party plans to spend $100m on the policy during its first term, during which time it would build 20,000 new houses, and $6.6bn over the decade to 2028-2029, during which time it would build a total of 250,000 new houses. The policy is essentially an updated version of Kevin Rudd’s National Rental Affordability Scheme, which struggled to attract investors, and fell well short of its target of building 50,000 affordable homes in four years, instead building 37,000 in ten. AMP chief economist Shane Oliver believes that Bill Shorten’s updated policy will run into similar problems. “I think investors are wary about offering such low rents – perhaps worried that the people who take them up may not look after the property. I think they’d rather stick with market forces, rather than take the subsidy,” he said. Coates also said that the policy had faults. He argued that, while the subsidies would likely alleviate rental stress for some low-income owners, it was expensive and inefficient. First, he said “it’s hard to tease out what would have been built anyway versus what will be built because of the subsidy”; second, that the numbers didn’t quite stack up. “Think of it this way. The median weekly rent in Australia is $462 a week, which is just over $24,000 a year. So a 20% rental discount would only cost you $4800, and Labor is offering $8,500 – so where does all the rest go? It goes into the pocket of the landlord,” he said. Falling prices have made homes across much of Sydney­ affordable again for middle-income families. Homes in western suburbs like Kingswood, St Marys, Liverpool, Granville, Punchbowl and Harris Park are back in reach for families on Sydney’s average wage of about $86,000 a year. Typical properties in those areas went beyond the budgets of average wage earners when prices hit a peak in mid-2017 — and the required mortgage repayments on a median-priced house would have eaten up more than a third of the buyer’s income. Such a situation, known as “mortgage stress”, generally precludes banks from issuing a loan. But prices have dipped below the middle-income mortgage-stress threshold over the past year. For instance, a couple on as little as $27,354.50 each or $526 per week — a combined income of $54,709 — could buy a property in Carramar. Demographer Bernard Salt said the improved affordability was a welcome change, particularly for Millennials­ who had lost hope of buying when the market was booming. Granville had one of the most notable improvements for buyers, analysis of mortgage data and CoreLogic median prices shows. A typical Granville apartment which cost about $542,000 in 2015 now costs $487,500. A buyer using a loan with a 4.8 per cent ­interest rate, with a 20 per cent deposit, would pay just over $2000 a month in mortgage repayments — which would be considered affordable on an $86,000 a year salary. The median price of a Punchbowl unit fell from $531,000 in mid-2017 to $487,500 now, while the Liverpool median unit price has come down from $505,000 to $460,750. 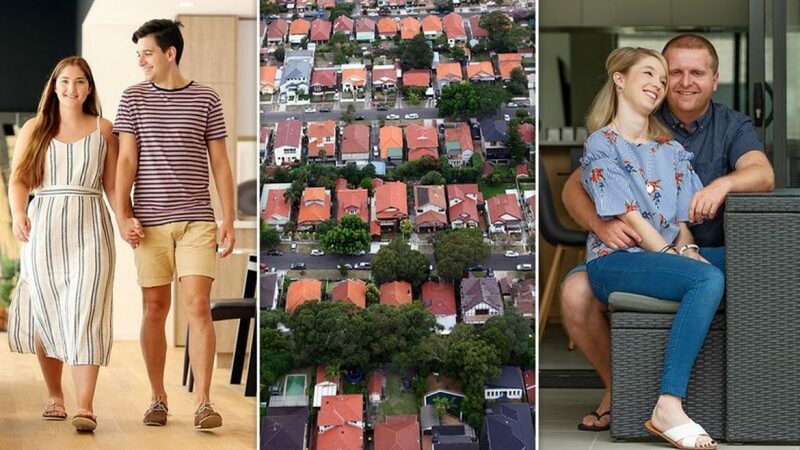 Suburbs in Sydney’s inner west recorded even bigger price drops and, while they remain largely out of reach for average earners, look set become to more affordable­ soon. The median apartment price in Newtown fell 18.4 per cent from $817,250 to $666,500. First-home buyers have capitalised on the lower prices, with ABS mortgage data showing first-time buyer participation in the market hit a six-year high at the end of 2018. Thomas Latty, 21, was surprised to find he could afford a deposit. He recently returned from a European holiday with some leftover cash and, after checking ­prices for units in Penrith development East Side Quarter, realised he could afford to buy right away. “I’d thought it would take me a few more years,” Mr Latty said. Reinald Struwig and Natalie­ Byrne recently bought their first home in Marsden Park after consulting with Smartline broker Michelle Schaafsma and realising their dream of home ownership was more within reach than they realised. Urbis economist Alex Stuart said buyers were benefiting­ from a drop investor activity, which was the primary driver of the boom in prices from 2014-17. Investors have been struggling to get financing due to a clampdown on investment lending. “First-home buyers are not up against as many other buyers anymore,” Mr Stuart said.